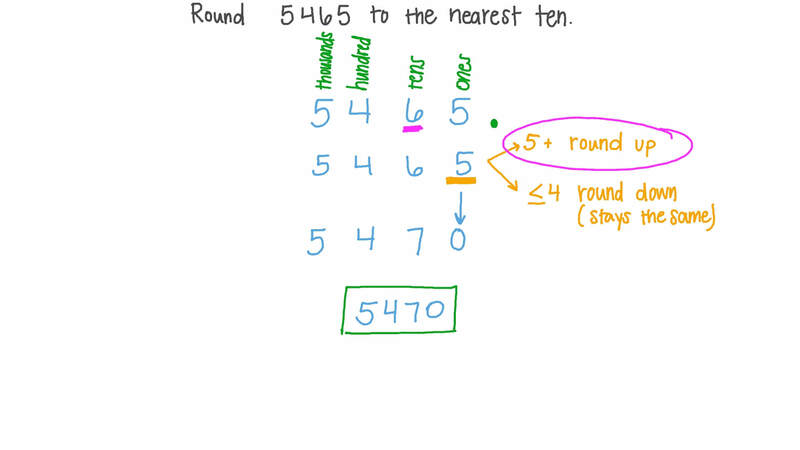 In this lesson, we will learn how to round three- or four-digit numbers to the nearest ten or hundred using various tools. Round 2 8 2 6 to the nearest hundred. Round 5,465 to the nearest ten. Round 703 to the nearest hundred. Round 8 2 5 0 to the nearest hundred. Find two whole numbers with as great a difference as possible where both numbers result in 850 when rounded to the nearest ten. What is the smallest whole number that when rounded to the nearest ten gives a result of 9,950? What is the greatest whole number that when rounded to the nearest ten gives a result of 1,190? 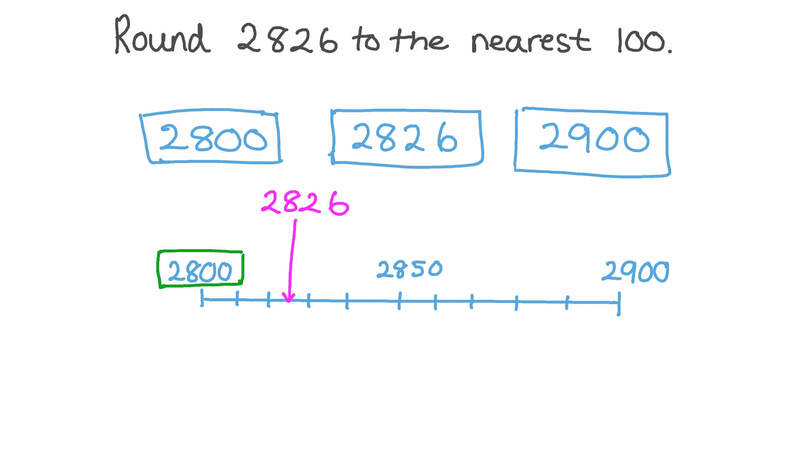 Round the number marked on the number line below to the nearest hundred.